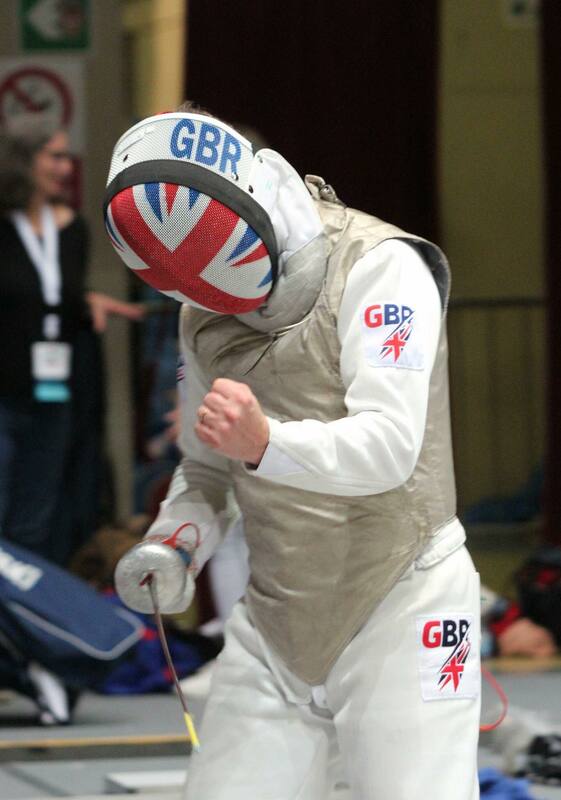 Fencing Success for Mike McKay, Group IS Director and World Champion! Polypipe Group Information Services Director, Mike McKay, has been fencing since the age of 14. Having represented Scotland when he was younger on the Open circuit, including the Open Commonwealth Championships in Canada in 1994, Mike is the current overall British Veteran Champion and 50-59 Age Group British Champion in Fencing. Mike has spoken to us about two major championships that he competed in last year. In October of last year, I was selected for the individual (for the second consecutive year) and team events, to represent Great Britain in the 50-59 Age Group of Men’s Foil at the Veteran Fencing World Championships in Livorno, Italy. Having won bronze in 2017 I had hopes of a good result in the individual event. I made a great start in the preliminary rounds winning 6 out of 6 fights and then my first elimination bout, in the next round I unfortunately lost out to a Swedish fencer in a very tight bout 4-3 in extra time. This meant I finished 18th out of 70 competitors from 26 countries who took part. The following day was my first-time taking part in the team event. The format is unique to the World Championships, bringing together a team of 6 covering the 3 age group categories for each weapon i.e. two fencers from each age category. Each age category fences twice in a 6 leg relay up 30 hits. Each leg also has a time limit of 3 minutes meaning scores can be lower if time runs out. GBR was seeded 1st having gained two 2nd places and a 5th place across the three age groups in the individual event. Not all countries have enough fencers across the age groups to enter a team however 11 countries lined up to take part. Although we were 1st seed we ended up in a difficult preliminary group with Italy and Germany, traditionally very strong nations and previous winners. A strong win against Germany 30-22 and a very tight loss to Italy 22-21 in extra time meant we were seeded 6th for the knock out stages. At this point however we really stepped up our game. A crushing 30-9 first round win against Australia set the tone. This set up a quarter final against Italy and a chance to gain revenge for earlier in the day. Completely focused, we raced into an early lead which was never threatened and ran out comfortable 29-15 winners. Next up was USA who had beaten Hungary, bronze medallists in 2017, however another strong showing brought a 30-22 victory to take GBR into the final to face Russia. The final was very close up to the 4th leg when GBR managed to pull out a 4-hit lead which was maintained into the 5th leg. Russia then staged a comeback to bring the scores within 1 point at 24-25 leading to a few nerves on the GBR bench however a final effort once again took GBR away from the Russians to win 30-24 and become World Champions! At the end of November I travelled to Canberra in Australia to take part in the Commonwealth Veteran Fencing Championships to represent Scotland. Unlike the World Championships this is an open Veteran event where all age groups compete against each other, although there is a medal for the best in each age category. As with the Commonwealth Games the event is staged every 4 years and only sports which have previously been part of a full Commonwealth Games can hold a Commonwealth Championship, (fencing was last in the Commonwealth Games in 1970 but there has been a Commonwealth Championship every 4 years since then). In the individual event I managed to win 5 out of 5 fights in the preliminary round to be seeded 2nd for the elimination rounds. This earned me a bye through the first round of elimination to then meet a New Zealander in the round of 32. A 10-2 win set up a meeting with an Australian in the round of 16 who was despatched 10-4. In the Quarter Final I then had to fight the reigning Commonwealth Champion, another Australian, whom I had beaten at the recent World Championships. A strong performance resulted in a 10-5 win to guarantee a medal and a semi-final against yet another Australian, the silver medallist from 2014. This was a far closer affair where I had to come back from a 5-2 deficit in the early stages of the fight. A change of weapons and an improvement in concentration turned this around and allowed me to take the bout 10-8 and progress to the final against one of my Scottish team mates, Nick Mort, who had beaten another Scot, Paul Stanbridge, in the other semi-final. The final was a classic to and fro with neither of us being able to pull out a decisive lead or dominate as we knew each other’s fencing so well. Unfortunately, I came agonisingly close, losing the fight 10-9 to end up with the silver medal. There was some consolation however as I won the Gold medal for being the best in the 50-59 Age Group. The next day we had the team event for which Scotland were seeded 1st having taken Gold, Silver and Bronze in the individual event. As an open event this follows the standard team format with 3 fencers per team and 9 relay legs up to a score of 45. With no preliminary rounds and a bye to the semi-final there was limited chance of a warm up however we managed to beat New Zealand emphatically 45-14 to set up a final match against the auld enemy England! This was a really close match with only a few hits in it right up to the 7th leg when Scotland pulled out a 4-hit lead which was maintained until we went into the final leg. From 40-36 up it was my job to reach 45 before my opponent (a double World Champion at 60-69 age group), or at least be ahead of him at the end of time. The bout went all the way almost to full time. At 16 seconds to go he had closed to within 1 hit at 42-43. With 10 seconds to go I made it 44-42 but again he came back and with 6 seconds left it was 44-43 to Scotland. In the final action we attacked at the same time and fortunately for me there was only one light – I had managed it and Scotland had won 45-43 with just 5 seconds left. It was a short but productive trip to the other side of the world bringing home 2 Gold medals & a Silver.